If you're not familiar, The Onion is a popular farcical news source, that has a print and online presence, as well as a new sports show on Comedy Central. 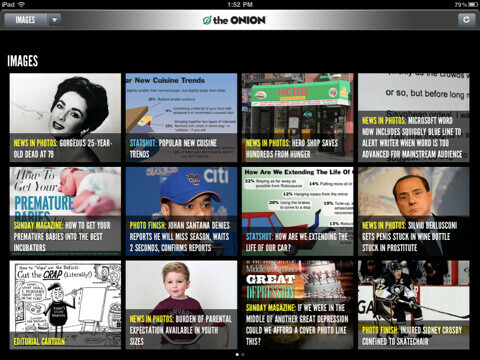 Very appropriately, The Onion has introduced their new iPad app on April Fool's Day. 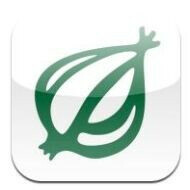 The Onion already has apps for both Android and the iPhone, which repost the website's content. And the iPad version is basically the same, except for the formatting nuances unique to the tablet format. 'The Onion Tablet' is set up like most other iPad newspapers, i.e. 'The Daily'. Its homescreen looks much like a traditional newspaper, but upon swiping to the following tiles, articles and videos are laid out in a more condensed grid. There are also the typical options to share content on Facebook, Twitter, etc. PCMag reports that they experienced a good bit of latency upon selecting articles and videos, but we imagine that, like any app, the first version has some bugs to be ironed out. And considering The Onion's unique and hilarious appeal, we doubt readers will be dissuaded by a less-than-lightning experience.